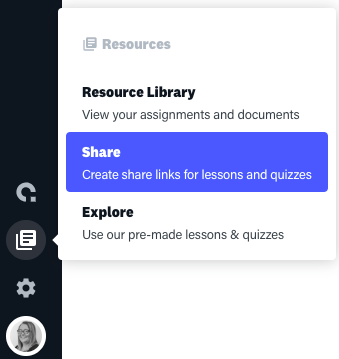 How can I Share a Lesson, Quiz, or Course with a URL? Step 1: From Resources go to the 'Share' page and select the 'URLs' tab. 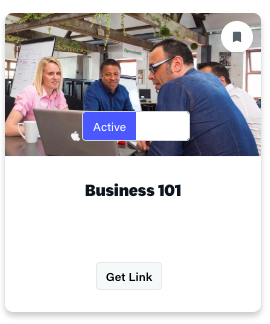 Step 2: Before you can get your link, you must first activate the resource. Toggle the switch from 'Off' to 'Active'. Step 3: Once your link is active, click the 'Get Link' button. Step 4: Select whether you want your link to be 'Public' or 'Private'. A Public link can be viewed by anyone who has access to the link. Simply copy the link from the 'Recourse URL' field. A Private link is password protected. Every user who accesses it requires a password to access it. 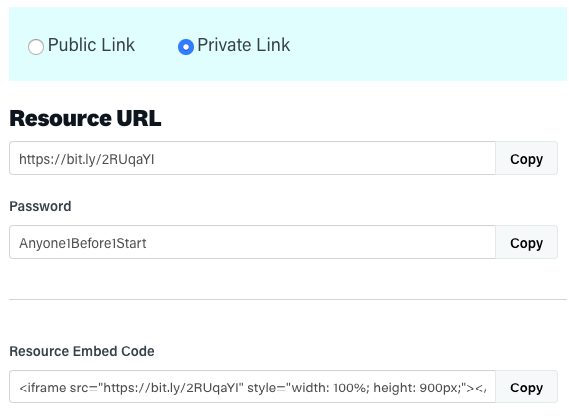 Just as with the public share link, copy the URL from the Resource URL field. A password is automatically generated for you when you select a private link, make sure to send this to your users along with the Share Link. You can also embed your resources into your website by copying the the Embed Code and pasting it into your website. Please note that you can switch between the public and private option without having to get a new link. 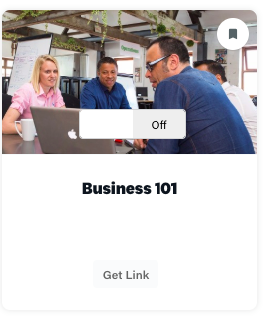 If you no longer want your link to be available, just deactivate it by switching it to 'Off'.